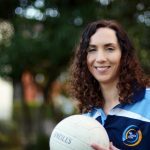 Tá Glór na nGael ag glacadh le hiarratais ar dheontais ó chlubanna atá cláraithe le Fondúireacht Sheosaimh Mhic Dhonncha le haghaidh bhabhta 2 de den scéim i 2017. Tá deontas de €600 ar fáil anois do chlubanna atá rannpháirteach sa scéim teanga Fondúireacht Sheosaimh Mhic Dhonncha. Incháilithe faoin scéim deontais seo tá tionscadail agus imeachtaí a chuireann úsáid agus foghlaim na Gaeilge chun tosaigh i measc an chlubphobail. Cuirfidh an Fhondúireacht maoiniú meaitseála ón chiste ar fáil d’imeachtaí incháilithe ar bhonn €2 do gach €1 a chuireann an club féin ar fáil. Tá uasmhéid de €600 ar dheontas a thabharfar d’aon chlub in aon bhabhta amháin, sin €900 san iomlán le caitheamh ar thionscadal, síntiús an chlub san áireamh. Tá an maoiniú seo ar fáil ag clubanna atá cláraithe amháin, mar sin, moltar d’aon chlub eile a chuirfeadh suim sa deontas teagmháil a dhéanamh le Frainc Mac Cionnaith, frainc@glornangael.ie chun clárú leis an Fhondúireacht. Le bheith incháilithe is gá go mbeadh clubanna cláraithe, táille chlárúcháin agus iarratais istigh roimh an dáta druidim, 17:00 ar 28 Iúil 2017. Imeachtaí a tharlódh idir na dátaí 1 Meán Fómhair agus 31 Nollaig 2017 amháin a bheas incháilithe sa bhabhta seo.